A selection of the need-to-know civil justice news for December 30-January 5. Which Lawsuit Will Be Named New Jersey’s Most Ludicrous Lawsuit of 2017? Get ready to cast your vote! 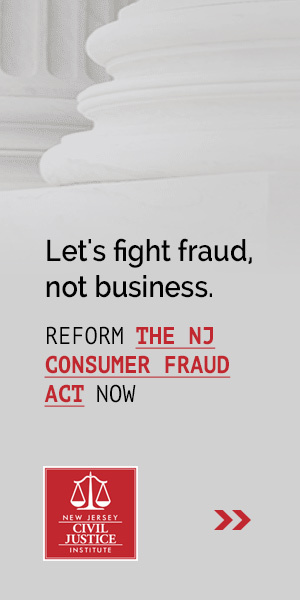 The polls are now open for the New Jersey Civil Justice Institute’s annual Most Ludicrous Lawsuit competition. A lot of ridiculous lawsuits were filed in New Jersey this year, but only one can be crowned 2017’s Most Ludicrous Lawsuit. A selection of the need-to-know civil justice news for December 2-8. Not every ridiculous lawsuit filed in the Garden State can make it into the upper echelon of absurdity, so this year we are awarding Dishonorable Mentions to a handful of suits that didn’t quite make the cut, but still leave us scratching our heads in disbelief. A selection of the need-to-know civil justice news for November 25-December 1.